In the continuing battle for combustion engine CO2 reduction. Engine manufacturers are hunting for new technologies that can contribute in some way – however small. An emerging trend is looking closely at loss reduction - and in particular, reduction of engine friction. 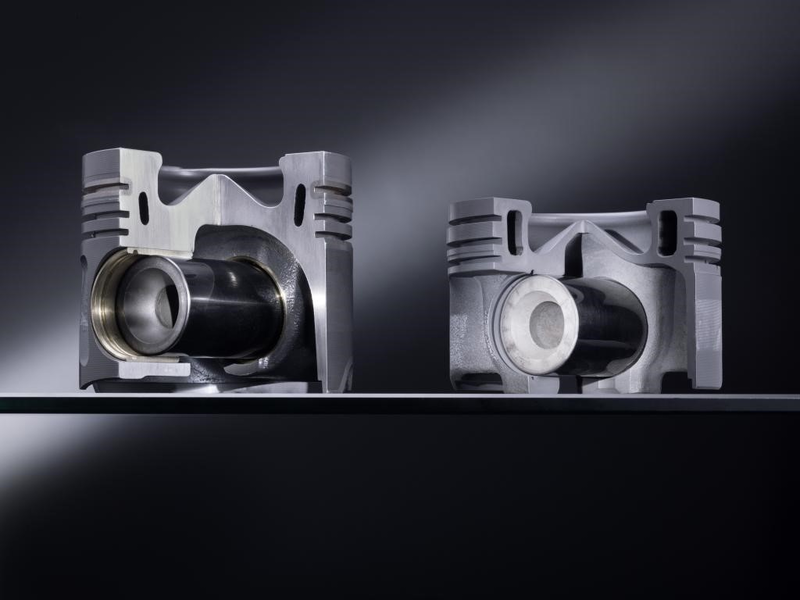 One specific technology under investigation and being adopted, is the use of new materials for piston manufacture – in particular, the use of steel as opposed to aluminium. Let’s review the current situation – in a typical, current passenger car diesel engine, loads and temperatures are high, the safe temperature limit for an aluminium piston is around 400 degrees centigrade. With these modern engines, these material limits are already being approached – failure is normally associated with cracks forming at the combustion chamber bowl rim - so how can steel help? Steel is heavier with lower thermal conductivity! Well, heavy-duty truck engine manufacturers have been using steel pistons for a while – steel is much stronger than aluminium, so with an advanced design, a steel piston assembly can actually be lighter than an equivalent aluminium piston. Thus it is possible to compensate (nearly fully) for the weight disadvantage of steel. This benefit also brings the advantage of additional strength – protecting for peak pressures that will become even higher in future. This increased strength, in combination with the engine design, can be utilised to reduce the deck height of the engine, thus reducing overall height, which has a packaging benefit. With respect to the engine cycle, the lower heat conductivity can actually be an advantage as cycle temperature is increased, which has a thermodynamic benefit. 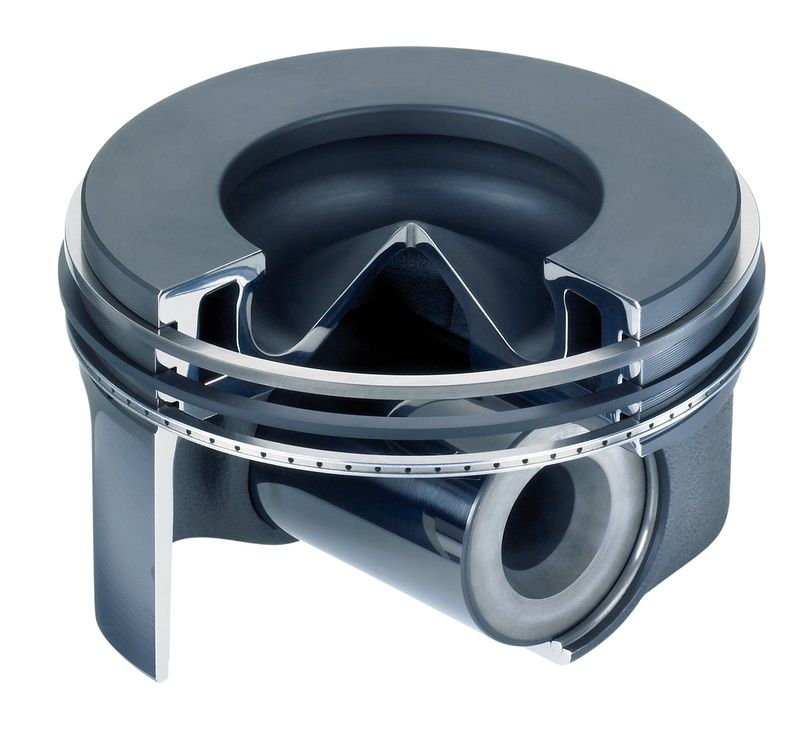 Higher combustion chamber temperatures can be reached than with aluminium piston engines so that ignition quality increases, while the combustion duration is reduced. 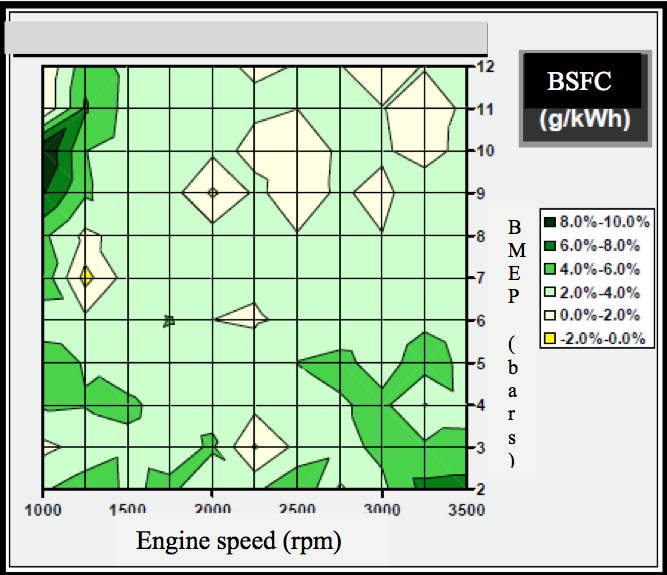 The result is lower fuel consumption and pollutant emissions. The biggest benefit however comes in the form of reduced friction – a steel piston only expands about a quarter of the extent of its aluminium equivalent. 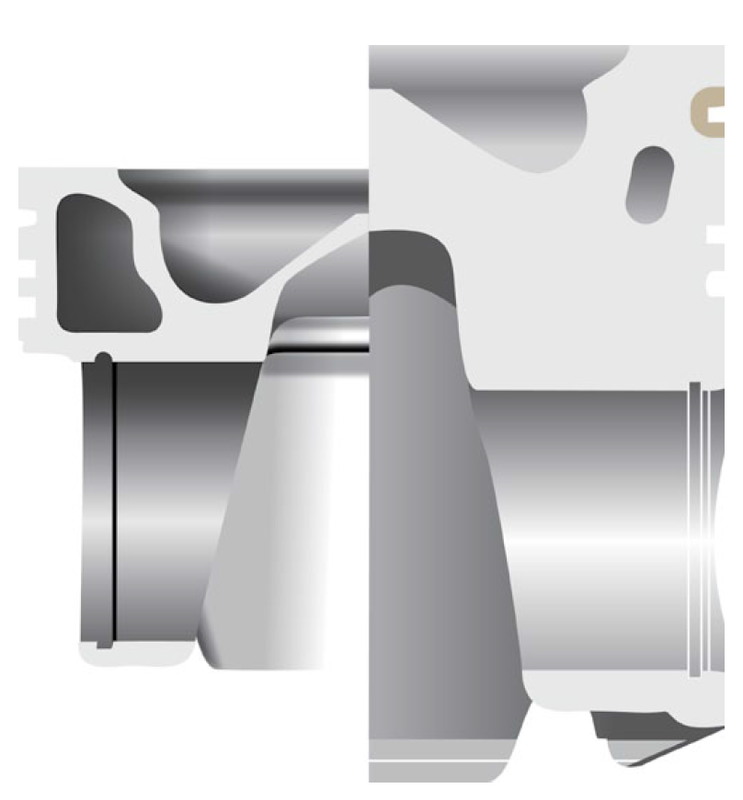 When fitted into an aluminium cylinder block, the aluminium housing expands more than the steel piston – and the result is greater tolerance of the piston within the cylinder, with correspondingly less friction - as the piston/cylinder assembly alone causes between 40 and 50 percent of the mechanical friction - the potential for efficiency increase is significant in the lower and middle speed ranges (important in real world driving conditions where useful consumption benefits can be achieved). In addition, the lower thermal expansion of the steel piston, compared with aluminium, also means that the designers are able to reduce the working tolerance between the cylinder wall and the piston, this reduces pollutants and untreated emissions. When used in a cast-iron cylinder block (Diesel engine), the steel piston enables reduced working tolerance when the engine is cold (lower heat expansion and the resulting potential of having a significantly tighter clearance between the piston skirt and the cylinder bore), with an appropriate tolerance being maintained when the engine is warm (due to complimentary expansion of the piston and block material) – the reduced clearance at cold conditions leads to less noise at cold starting, as determined by the piston contact changeover at the crankshaft angle of top dead centre.